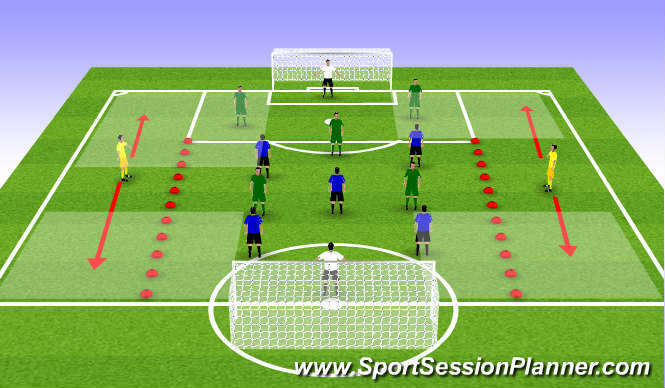 Player A slaloms through cones and plays to B. B lays off one touch to C who plays diagonal into the run of A. B makes a bended run into near post and and C, bent run into far post. 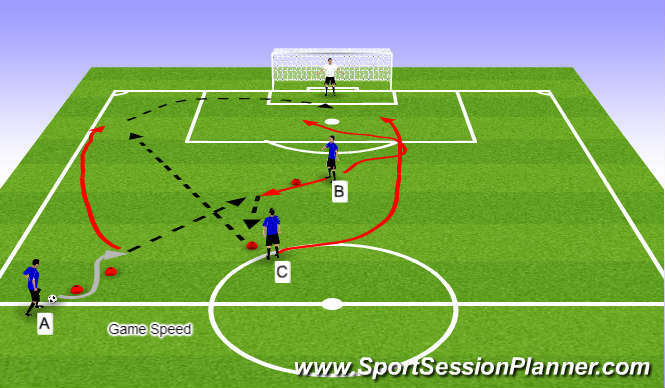 Can be done from both sides of the field. Add defender to play on B. 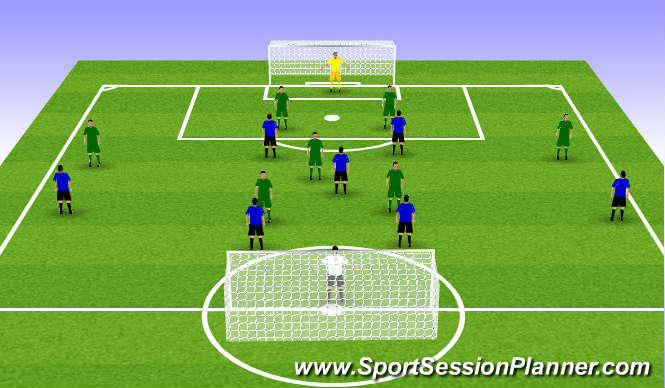 Add defender to run with player C as he enters the box. Goal must come from a wide position.